Spike Milligan Art Personally signed by Spike Milligan. The headline art from Spike Milligan's fine art exhibition in 1995 at the Agency Club, London. Personally signed by Spike Milligan. The headline art from Spike Milligan's fine art exhibition in 1995 at the Agency Club, London. 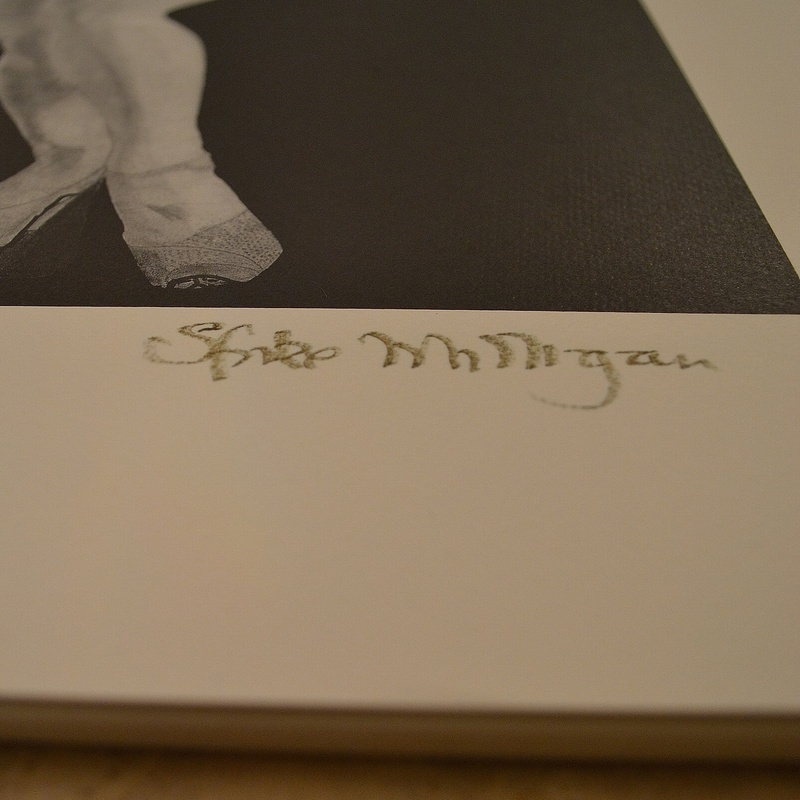 Own your very own personally signed Spike Milligan work of art. 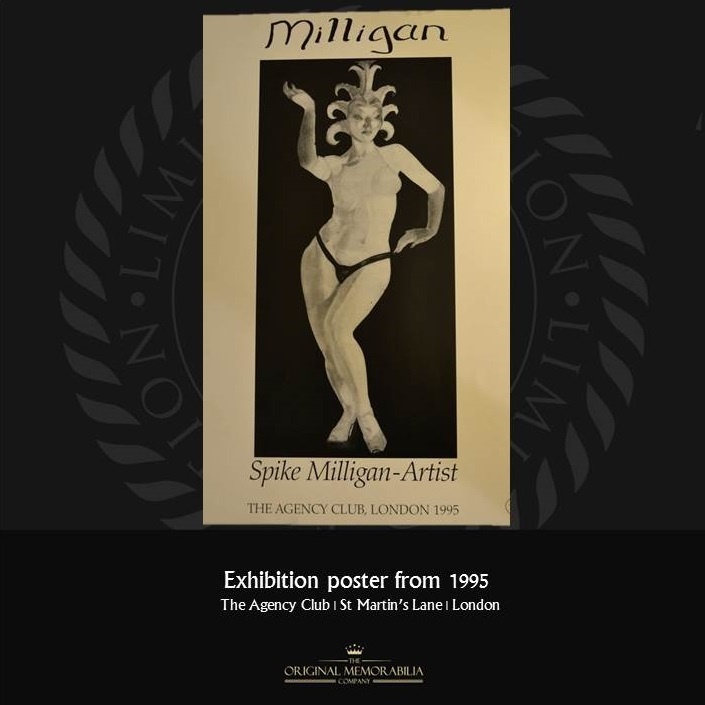 Spike Milligan, the comedy genius who helped shape the future of British comedy was also a talented and respected artist and in 1995 Spike held his only solo fine art exhibition at the Agency Club in St Martin’s Lane in London. 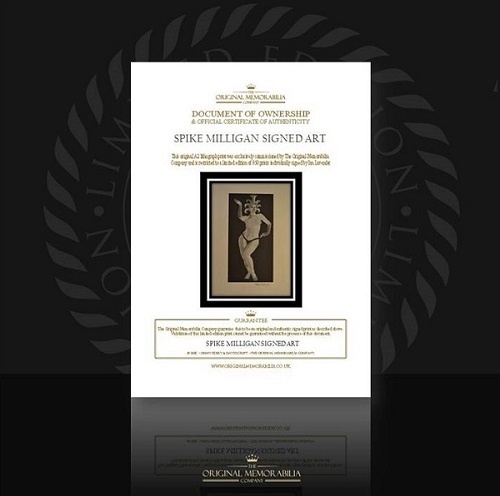 Spike selected this very piece ‘The Dancer’ to adorn the promotional material for the exhibition from which a high quality limited edition of just 250 prints were produced and numbered and individually signed by Spike. The original remained on display in Spike Milligan’s Sussex home. 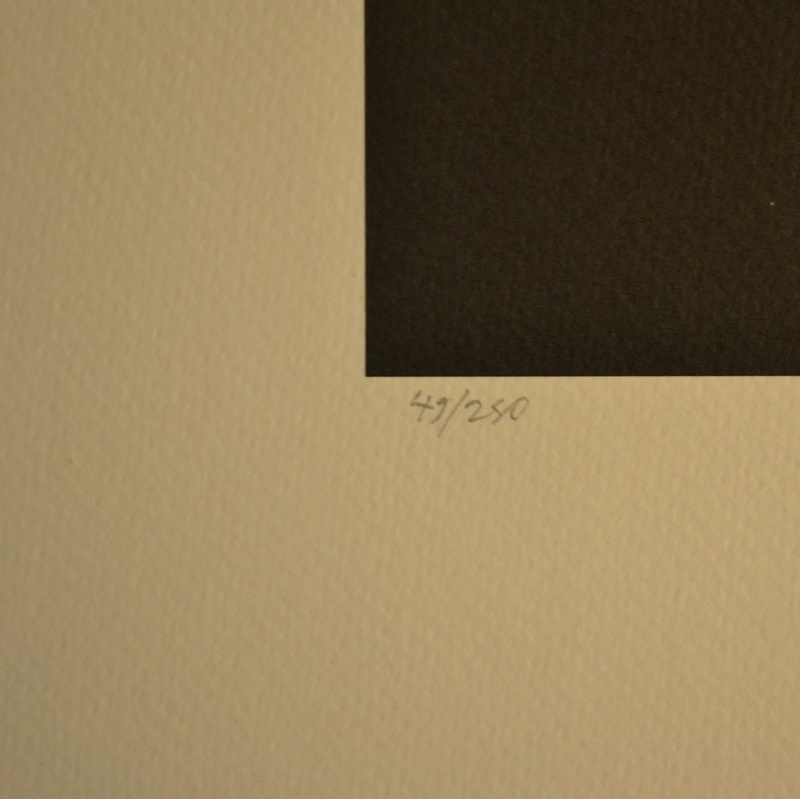 Spike retained a small number of the prints and after his death in 2002 his wife Shelagh gifted those that remained to a close friend in gratitude for his efforts in cataloging Spike's Estate. 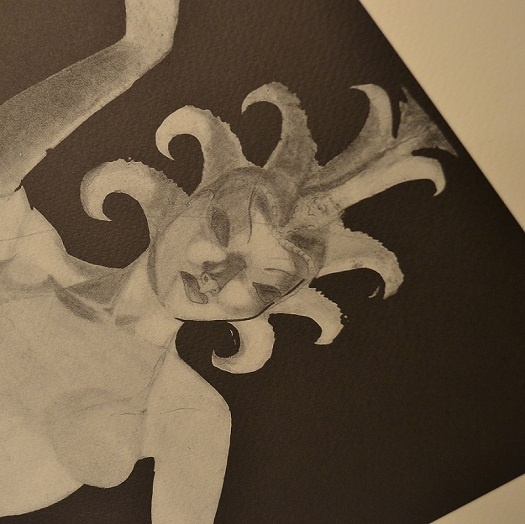 This is one of those very pieces that stayed in his possession and are probably the only remaining pieces of Spike Milligan art that have not previously been sold. Signed by hand in green ink and numbered in pencil to the bottom left. 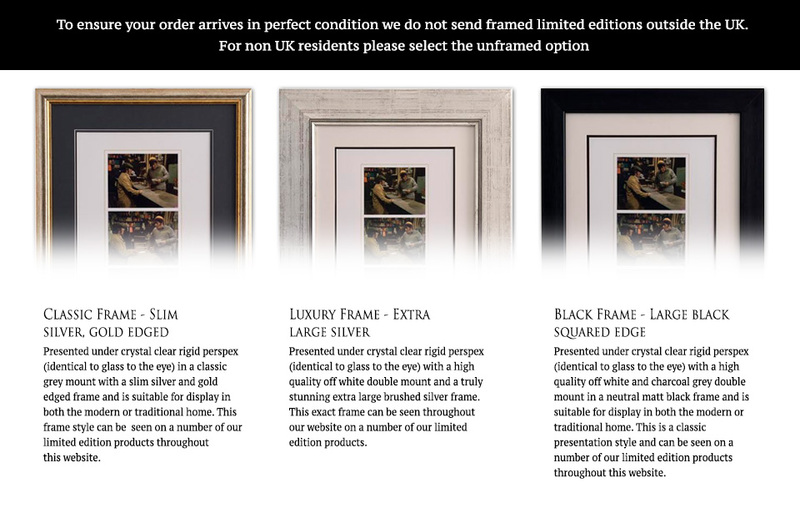 A unique, large and very collectible statement piece by a true comedy genius.